Today’s word, adrift, is synonymous with yesterday’s word unmoored. So, see yesterday’s post for today’s word. I’m going to do this Goodreads Book Tag, courtesy of James, which may or may not contain the daily word somehow. Technically it was two books because sometimes I have moments where I start a book and then another book comes out so I read that one and then come back and finish the one I was reading. 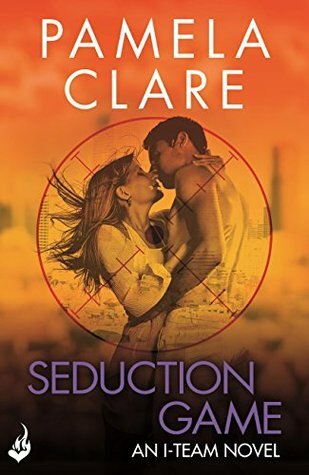 Seduction Game is ninth and final book of the I-Team series which is a contemporary romance involving investigative reporters. The author was an actual investigative reporter so most of her material in the stories regarding senators, US Marshals, land laws, CIA etc were legitimate because she knew people in these fields. I learned a lot even though it is fiction and the romance is quite hot! 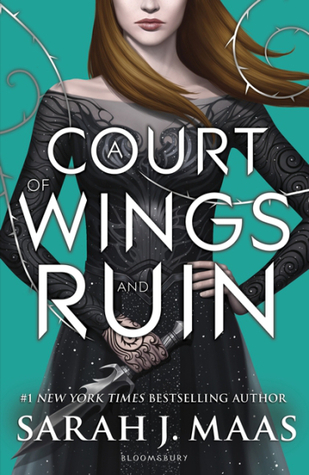 A Court of Wings and Ruin is the third book in the Court of Thorns and Roses series. 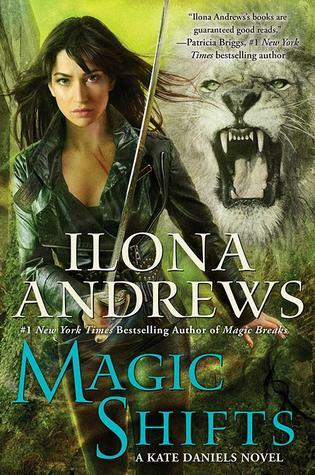 I won’t say too much about this one if you haven’t read the first book yet but its high fantasy with High Lords and elemental magic and different Courts that rival each other. 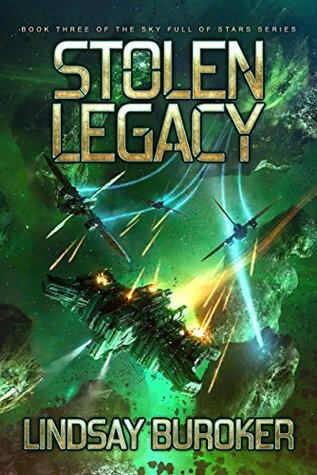 Stolen Legacy is the third book in the Sky Full of Stars series which is a spin off from Buroker’s Fallen Empire Series. These are science fiction, space opera type of stories; think Firefly. The spin off series takes place 10 years after the Fallen Empire series and involves Jelena Marchenko getting assigned her own ship from her mother to begin to take over the family freighter business and the shenanigans her crew encounters while doing their job. 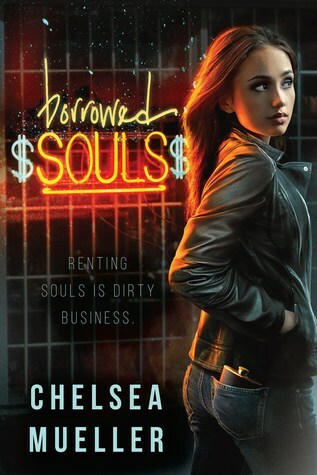 I guess I should say that I’m on the review team so I’m sort of required to read this book but I love this author so even if I didn’t receive ARCs I’d read her books. 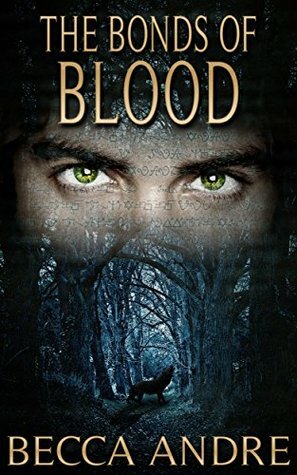 Chelsea Mueller is a new author. I believe she normally writes for the heroes and heartbreakers blog and then decided to write her own book. 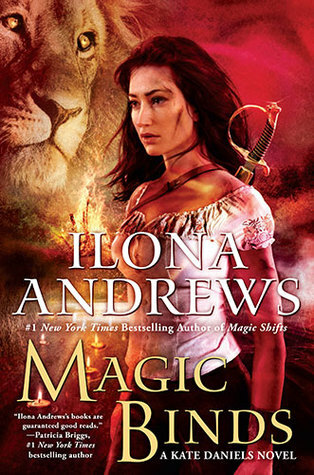 She’s been endorsed heavily by one of my favorite authors, Darynda Jones, so I figure I should probably check out her book at some point. I’ve been on a science fiction kick lately so I plan to continue reading that genre for a while, assuming I don’t receive any ARCs in between. 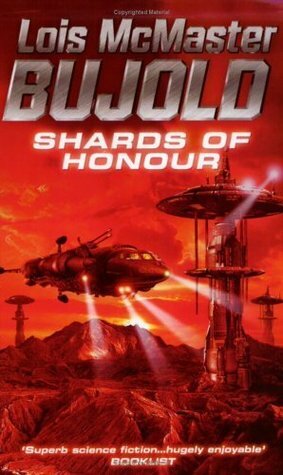 Shards of Honour is the first book of the Vorkosigan Saga and has been highly rated on Goodreads as well as from Lindsay Buroker and a few others. There was actually an article the other day about fantastic fictional mothers and apparently one in this series is a good one. Yes, I do. If you don’t use it you don’t get awesome recommendations that lead you in what I like to call a “Goodreads spiral” because once you start looking, you can’t stop. I’ve only recently began to leave detailed reviews because I guess my opinion matters to some people sometimes :P.
ARE YOU DOING A 2017 READING CHALLENGE? Yes, I am. My goal is to read 100 books by the end of this year and they cannot be rereads. This is my attempt to discover new authors. I have a forever long wishlist and not enough money. I just bought these four books last Thursday. The first two are the 8th and 9th books of the Kate Daniels series. I let M borrow the books to read and she’s plowing through them faster than I anticipated so I bought the two I was missing so she’ll have them when she gets there. The second two are books 4.6 and 5 of the Final Formula series. 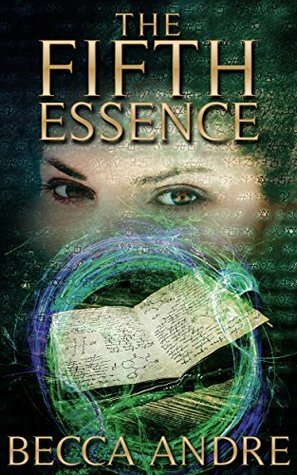 My mom bought me the other part of the series on my birthday earlier this month and the paperback for The Fifth Essence didn’t hit until last week. Soon as they arrive both my series will be complete. I’ll probably buy books from other series that I’m still missing. I don’t know who quoted the first two. They’ve been on my Facebook page since it’s inception. I have on Goodreads but I never look at them. However I follow a lot of groups on Twitter, as well as my favorite authors if that counts. I like having direct communication. hahaha that’s so true about the goodreads spiral- we’ve all been there!! Great post!! I love getting into one! But then I hate because I got into one and lots of time got away from me. Thank you! !